Water is a natural element that helps us relax by creating a peaceful and relaxing atmosphere. Add one to your yard. Yard decor completes and embellishes our home exteriors. Fountains for gardens, decks or patios– or even home interiors– are very decorative and original. Water is a natural element that helps us relax by creating a peaceful and calming atmosphere. The sound of water can be a great addition to a yard and the rest of its decor. If you have a pool, water fountains can be a perfect pool accessory. 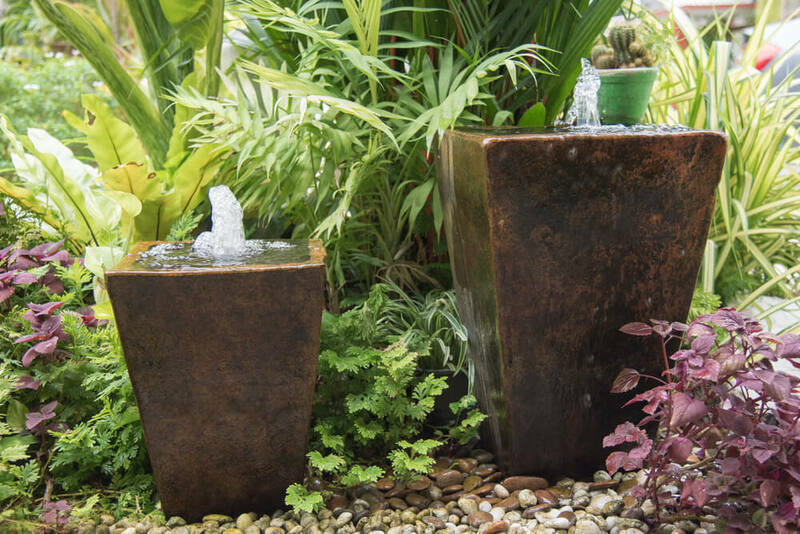 By using decorative fountains, you can create a zen space for relaxation. Water fountains come in a wide variety of styles, sizes, shapes, and materials. They don’t always have to be big for outdoor use. The most traditional and widely used type of fountain is the three-tier model. As the name suggests, they have three tiers and water flows from the highest point down to the lowest. Generally, they’re medium-height and made with a strong material such as polyresin, which resists strong UV rays and winter’s chills. These also create a regal ambiance. The variety of animal fountains is endless. You can find any animal you can imagine. The most common are little birds and toads that shoot up water onto a wide base. These varieties are beautiful; they look great next to a tree or at a home entrance. Never install a fountain that is camouflaged by the surrounding greenery; it could be dangerous if you have children that play outdoors. Waterfall fountains look gorgeous tucked away in a special corner of your yard or as a pool accessory. You can find fountains where water flows down onto rocks of different sizes. Water walls look amazing in yards and add a modern feel to the setting. Try placing them in your home entrance, surrounded by tall plants. Spherical water fountains are also a great option for home decor, particularly in a minimalist style. You can find single spheres or three differently-sized spheres that sit on a stone base. Water flows from the top part of the smallest sphere, covering it entirely with a thin layer of water. These spheres will shine in the sun while decorating your yard. Barrel fountains are more rustic than the former options on our list. These traditional fountains are made with a faucet and one or several barrels. They’ll look beautiful in a wooden home or cabin. Light fountains create a cozier, more relaxed setting for your yard. These days, almost any kind of fountain comes with a variety of lighting options. Not all fountains are easy to install. Additionally, you should also be careful about where you place them. Think about how your home will look. You’ll need to change the water frequently to keep it from becoming stagnant and ruining the fountain itself. Another idea to consider is adding anti-freeze to your fountain water. It’ll prevent the water from freezing during the colder months. 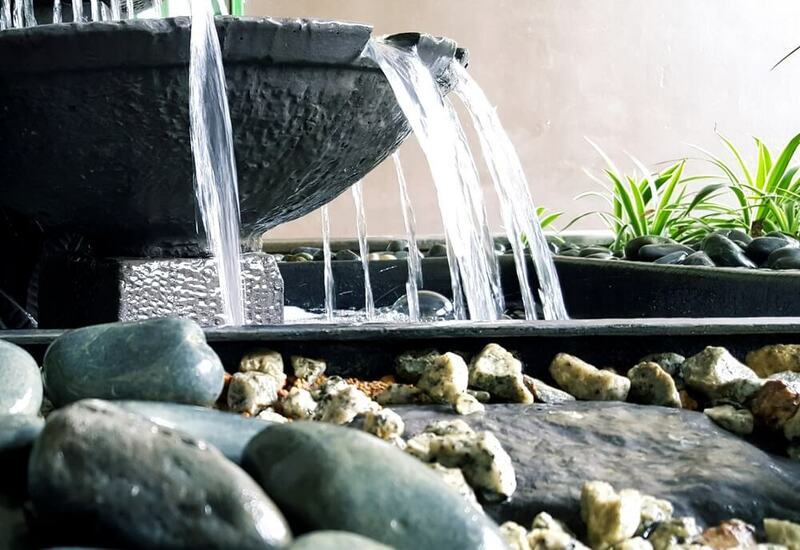 Yard fountains are becoming more and more popular in home exteriors because they create a magical and lovely setting. They’ll complement your other exterior decor objects while enhancing your outdoor space with beauty and the gentle sound of falling water.